In fact, research shows that 90% of consumers now expect a brand or organization to offer a self-service customer support portal, and 60% of consumers have a more favorable view of the brand if their self-service offering is mobile-responsive. Additional data shows that 35% of consumers prefer self-service over human contact, and that 82% feel call centers are unnecessary and stressful. This is one reason a FAQ page is a good idea. By creating a resource with commonly asked questions and answers, you can cut down on customer service costs and empower your online shoppers to find the information they need to complete a purchase–all on their own. Let’s look at the nuts and bolts of how to create a stellar FAQ page that’s a powerful resource for customers. FAQ (frequently asked questions) pages are helpful resources that help answer common customer questions. Essentially, they work to help overcome obstacles to purchase by addressing some of the repeated questions and concerns past customers have inquired about through support resources. Notice how these common questions are clickable and can be expanded to reveal an in-depth answer. From pricing questions to information about data storage, this FAQ strives to provide quick answers to questions that are posed on a regular basis. Ultimately, the goal of an FAQ page is to educate shoppers. By providing insightful answers to FAQs, your customers can more quickly and efficiently get on their way to the next step in the sales journey. Next, let’s explore some of the added benefits of FAQ pages and how they can improve your online store as a whole. Because answers to customer questions are often packed with relevant keywords, FAQ pages can be valuable SEO and PPC assets. When worked in naturally, these text-rich pages can improve your website’s relevancy and overall quality score, which is what search engines evaluate when ranking content to display in search results. Plus, when you include relevant hyperlinks to other resource pages on your site, you can encourage visitors to keep moving through different pages on your site and to increase time spent on your website. Showcasing your knowledge of customer concerns on an FAQ page is also a great way to build authority as a leader within your niche. If you can provide helpful content that educates readers on the topic related to your store, it shows that you are a trustworthy source of information related to your products and target audience. FAQ pages also help act as a form of proactive customer service that anticipates the customer’s needs before they even have to ask for help. A resource like this builds rapport with the target audience by showing just how well you know and understand the needs of the customers coming to your website. 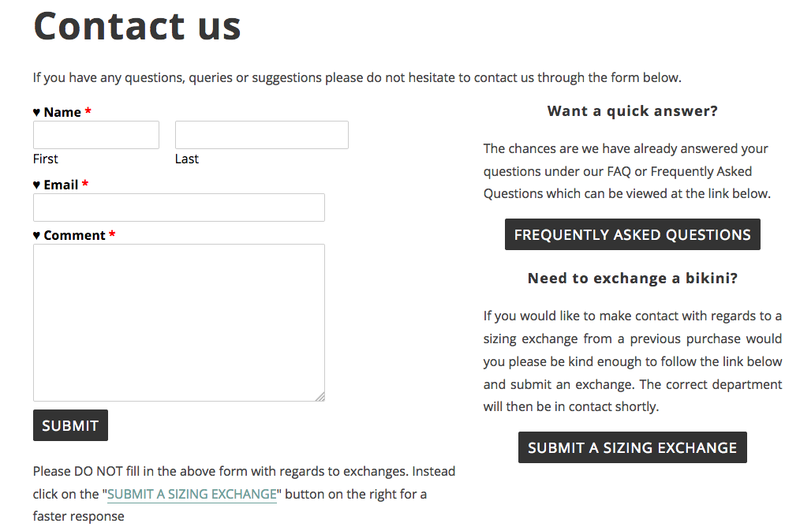 Now that we know the benefits of a FAQ page, let’s look at some best practices for creating one of your own. By following these tips, you can create a FAQ page that’s helpful, thorough, and exactly what your customers need. Make a list of the common questions you’re emailed about. The first step is to look at some of the common questions you get through your website and make a running list of some of the more common questions. From here, prioritize your list of questions, starting with the most frequently asked question and working your way down. Ask your customer support team (if you have one) what they most commonly get questions/complaints about. If you use external support for customer service, reach out to that provider to get their perspective on your customers’ most common questions and concerns. Since they’re working with your shoppers on a regular basis, they’ll be an excellent source of information for this page. Think about common objections to purchase that keep shoppers from checking out. You’ll also want to take some time to consider some of the common obstacles to purchase your customers may be facing, and then think about how you can help them overcome those objections to purchase. 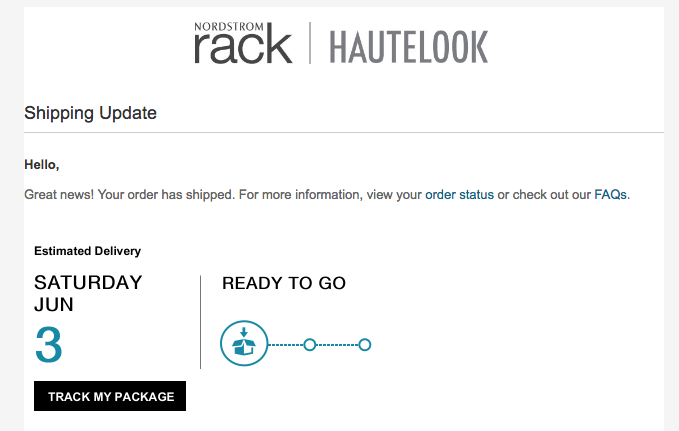 This might be things like uncertainty around your return policy, questions about sizing, quality, or delivery times. Provide as much detail as you can to provide in-depth responses to those types of questions. Use photos/screenshots when possible to illustrate how-tos. When relevant, consider incorporating photos or screenshots of processes to demonstrate exactly how to execute different processes or to illustrate answers with greater clarity. Words paired with strong visuals speed up comprehension for your readers. 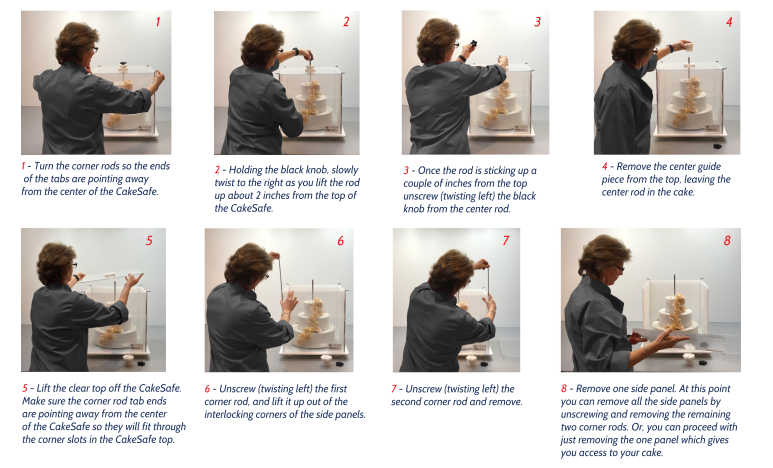 Cakesafe gives detailed answers to their FAQs in attached PDF files that make how-to’s ultra-simple. Use simple language in an informative tone to provide clear/sufficient information. Last, but not least: Remember to use simple language with an informative tone. Don’t use jargon or lingo that your readers won’t understand–keep your answers simple and clear, using the words your customers have used within their questions. Decadence Delivered executes the informative tone very well in their FAQs. The language is simple, easy to read, and without fluff or industry-speak that can lead to ambiguity. Here are a few tips and suggestions that will make your FAQ page easy to find and use. 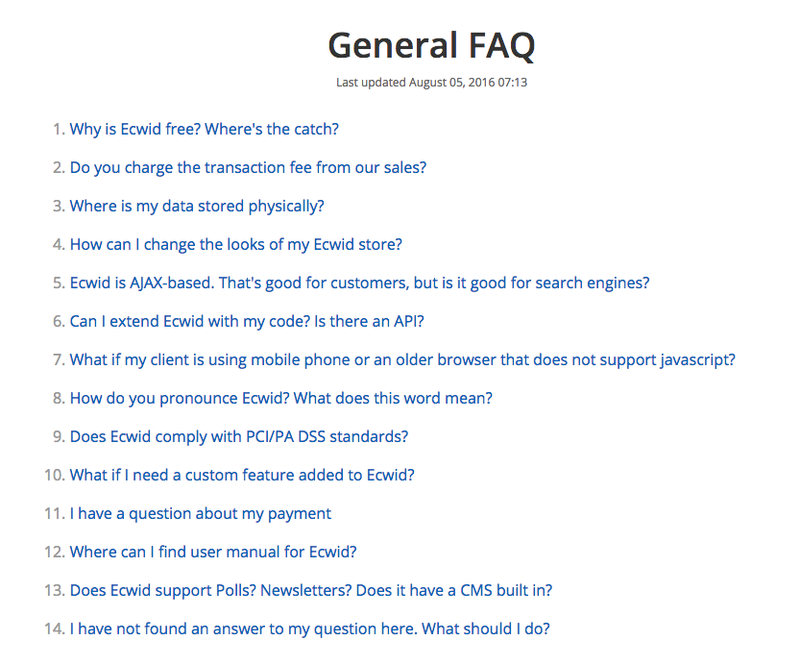 In Ecwid, you can create a FAQ page (as well as other legal pages) and put them to the bottom of your store. Simply go to Control Panel → Settings → General → Legal Pages and set them up. You can add all kinds of media to these pages, including videos, pictures, and links. Remind shoppers to check out this handy resource before reaching out to support. It will save both parties time and energy if the shopper can self-troubleshoot and find answers to quick questions. 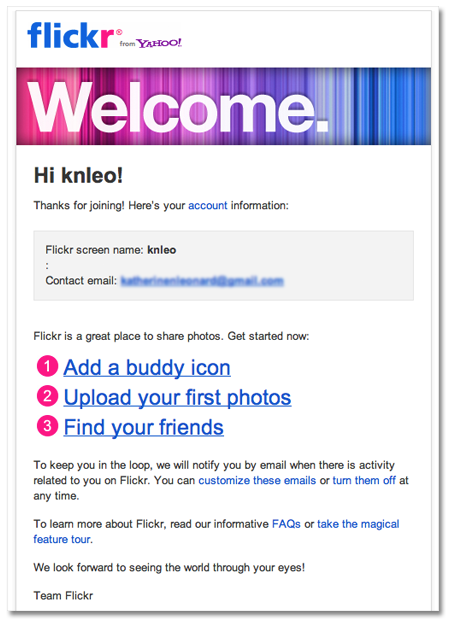 Get new customers familiar with your FAQs by including a link to this page in your welcome newsletter or welcome email. Again, this is a proactive approach that helps you anticipate customer needs. 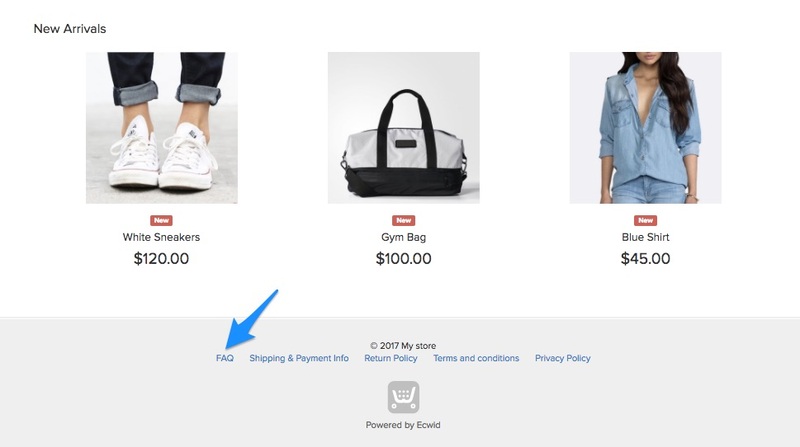 If you send automated transactional emails that send after a purchase is made, you can include a link to your FAQ page here to address questions about delivery time, order turnaround, etc. This helps cut down on inquires related to order fulfillment and keeps the buyer in the know. Having your FAQs in these different spaces helps insure your customers have access to answers whenever and wherever they need them. By creating a resource that empowers your customers to solve their own problems and answer their own questions, they can more quickly complete the purchase journey and be on their way to checkout. Don’t make your shoppers wait for an answer–let them find what they need right away without a delay that can lead them away from your online store. Build your FAQ page today and make your website and online store even more effective.